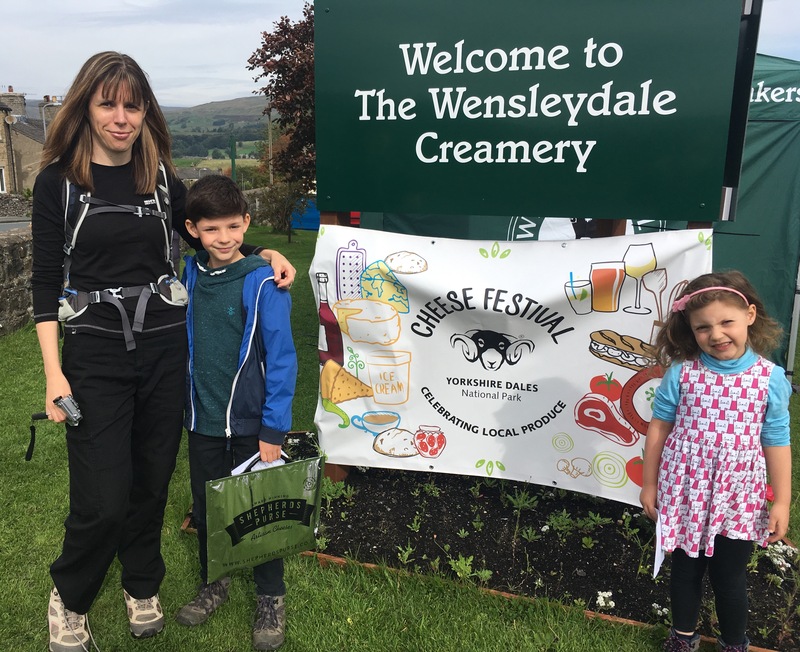 A few months ago, we visited Hawes and had a wonderful walk that ended with us visiting Wensleydale creamery for ice cream. So, when I saw they were having a cheese festival I didn’t need much persuading to plan another visit. 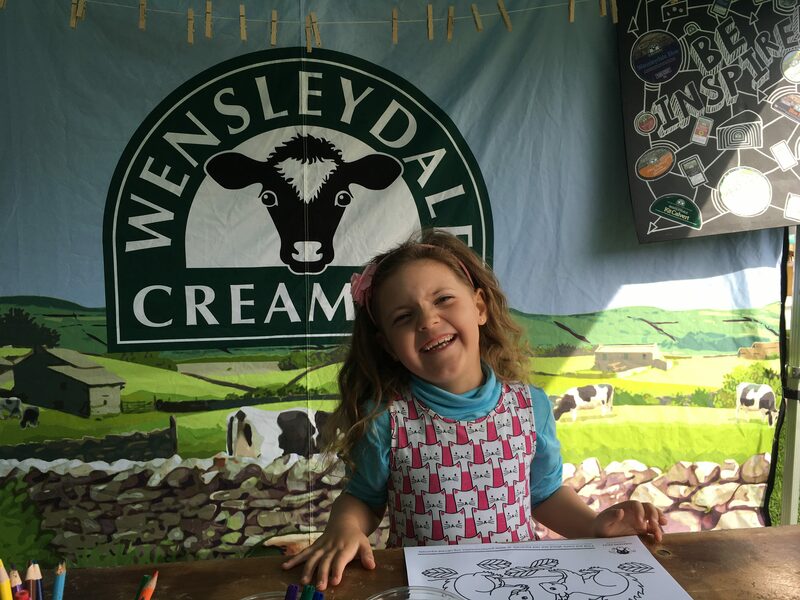 The cheese festival itself was at the creamery where there was a marquee full of local producers of bread, cheese, candles and gin. There were also ticketed events throughout the day in the back of the tent, such as Cheese pairing, and talks by cheese experts. We had parked down at the Dales Countryside Museum, free that day for the event, and a shuttle bus took us up to the creamery. 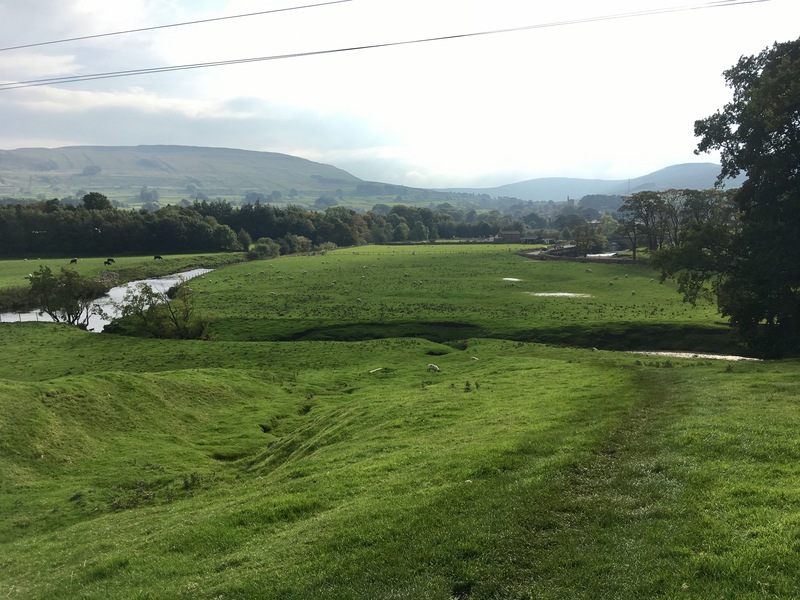 We booked a guided walk called ‘Whey Hey’ with the Yorkshire Dales National Park volunteers, but had a little time to wander around. 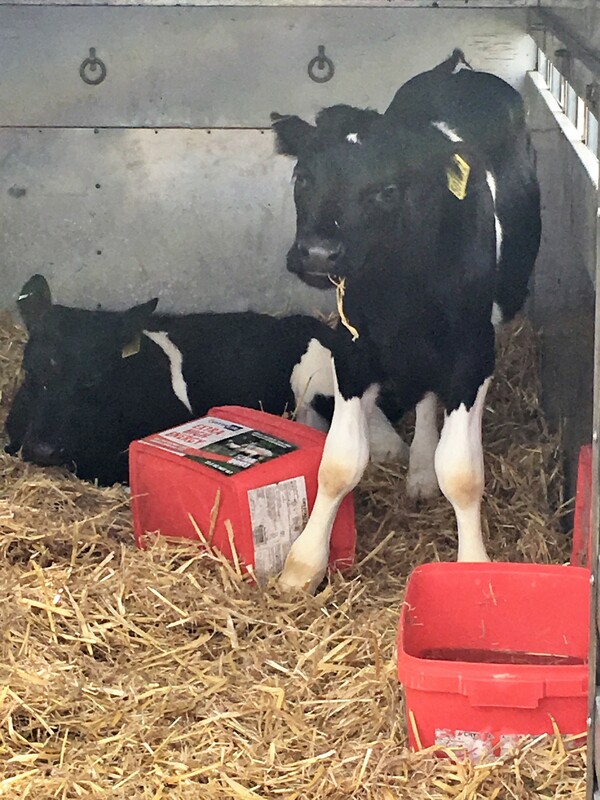 The kids loved seeing the new-born calves, and they then designed some cheese labels. Our guided walk lasted three hours and was led by wonderful volunteers Stuart and Clive. 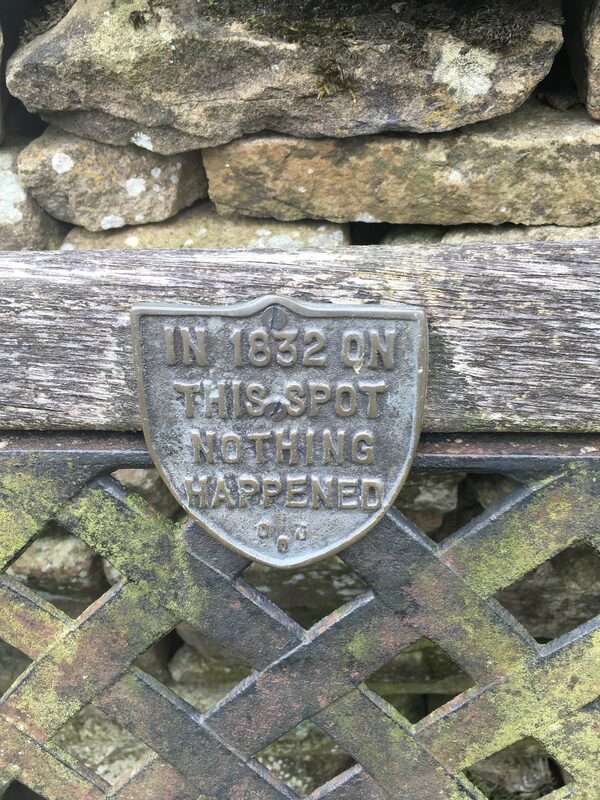 They first took our small group back down to the museum, stopping on the way to point out local things of interest and talking to us about the history of Hawes. 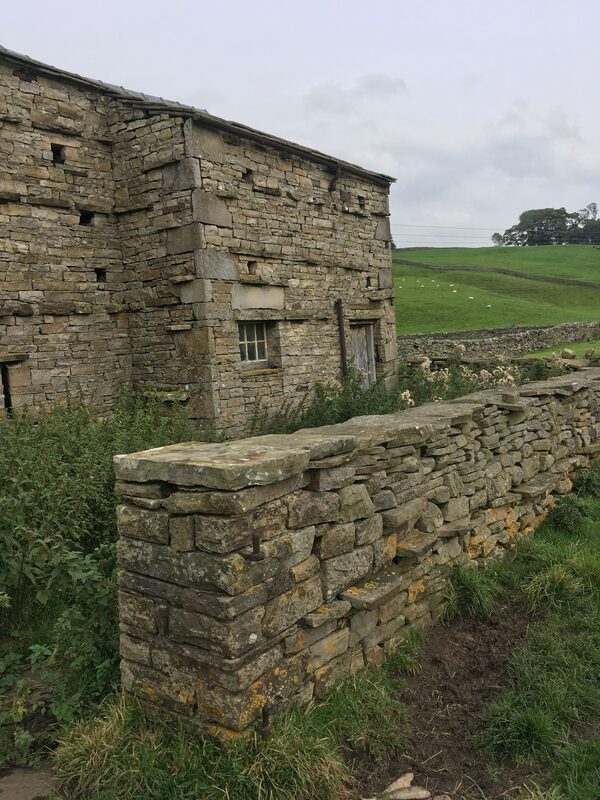 We had a look around the Dales Countryside Museum at the historic milking exhibits, and then set off on the walk. Our walk took us to nearby Hardraw along the Pennine Way and it was there that we met local farmer Richard Fawcett. He talked to us about the history of dairy-farming and showed us around a nearby barn. His talk was interesting and the kids were quiet and listened to everything he said. Richard also trains sheepdogs and my Daughter was keen to ask him all about his dogs. As we walked through Hardraw he let us meet the dogs, who my Daughter deemed adorable! 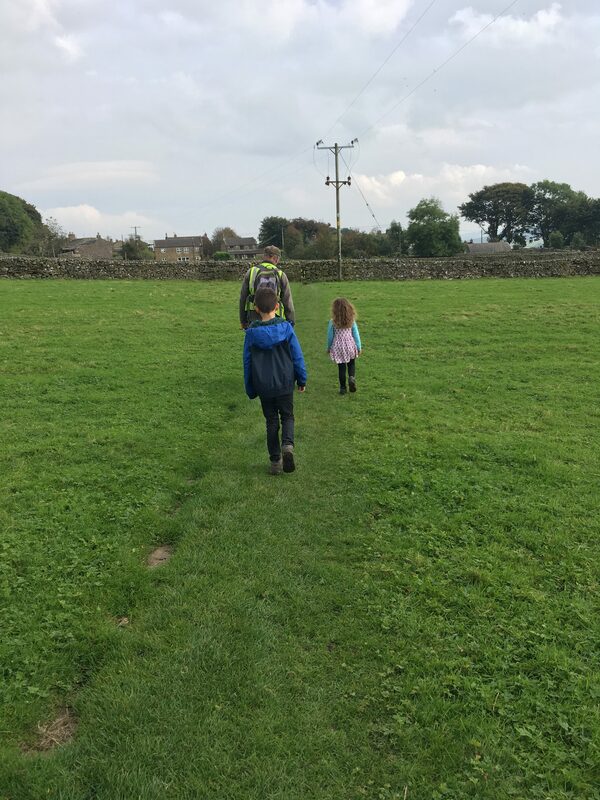 From Hardraw we walked back to Hawes via Simonstone, Stuart our walk leader being extremely patient with my little chatterbox as she nattered on alongside him. It was a great walk, interesting and informative and we were back at the creamery in time to stock up on more cheese. It was a grand day out and I’m sure Wallace and Gromit would have approved. We paid £5 per adult for the guided walk – Kids were free. Parking for the event that day was free at the Dales Countryside Museum car park, and a shuttle bus was put on to take people up to the creamery. 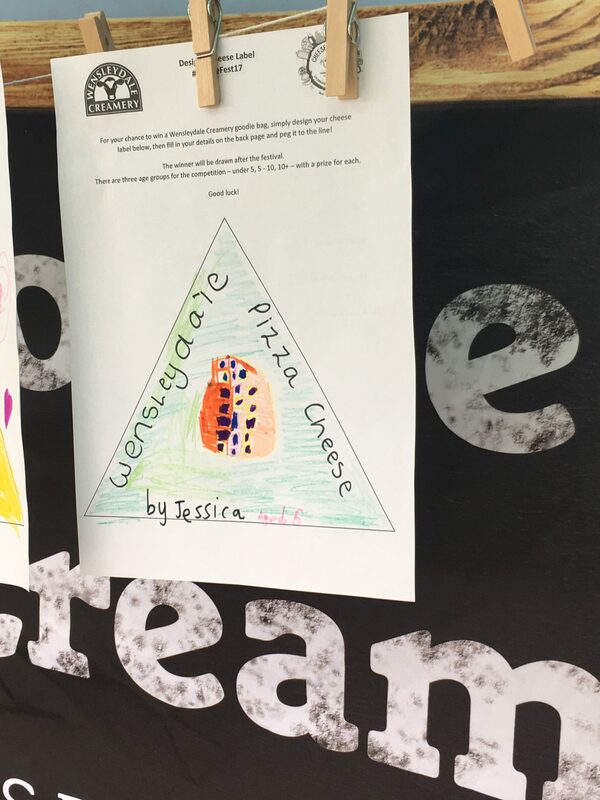 There were ticked events you could pay for at the creamery. I’ve received no incentive to write this post, just had to share our experience with you. For chat, photos or more about our adventures come see our Facebook page. The guided walk sounds great and really informative. Great value too, for just £5. For me, however, as a self-confessed cheeseaholic the star of the show would have been the array of cheese on show. Having never been to a cheese festival I’m definitely jealous. Thanks for joining us on #adventurecalling . I hope you can again when it opens tomorrow morning. It was lovely to have a guide that knew so much about the area, despite us doing the walk before we learnt new things. My family would have spent the whole day inside the creamery but I made them work up an appetite! I know, a perfect combination! Thanks for reading.